François won a 9 day luxury liveaboard trip on the Socorro Vortex. 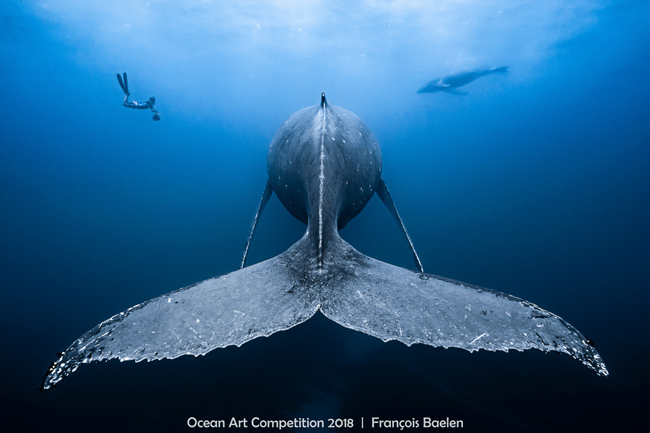 The Story: This unique encounter happened in September 2018 in Reunion Island (Western Indian Ocean) where the humpback whales come here to breed and give birth. The mother was resting 15 meters down, while her calf was enjoying his new human friends. Equipment Used: Sony A7III Camera, Nauticam NA-A7III Housing, Sony 16-35mm Lens.